Can you draw 4 lines that cover all 9 points? Whoa, whoa, whoa. Not so fast. 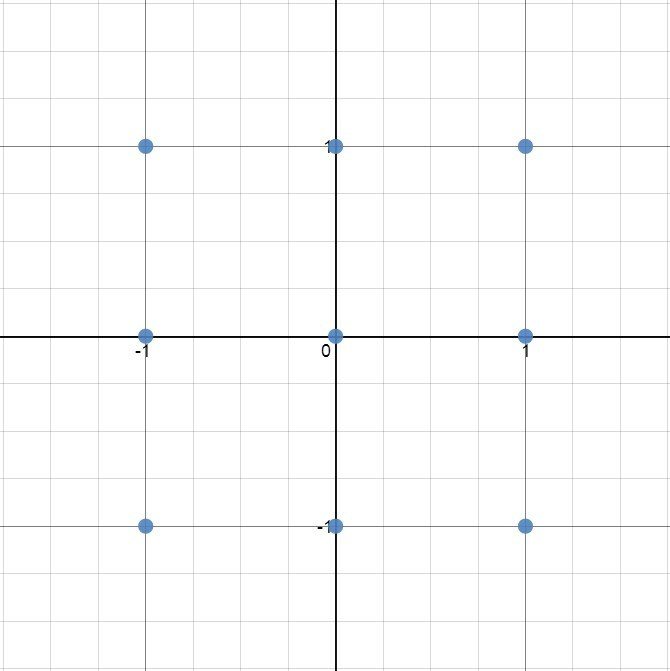 You can only have your 4 lines intersect on, at most, one of the given points. And the origin can’t be one of these intersection points. The starter graph is found here. I do this without a graph as an icebreaker with my math students and this is the answer. I might start to use this version in the fall.